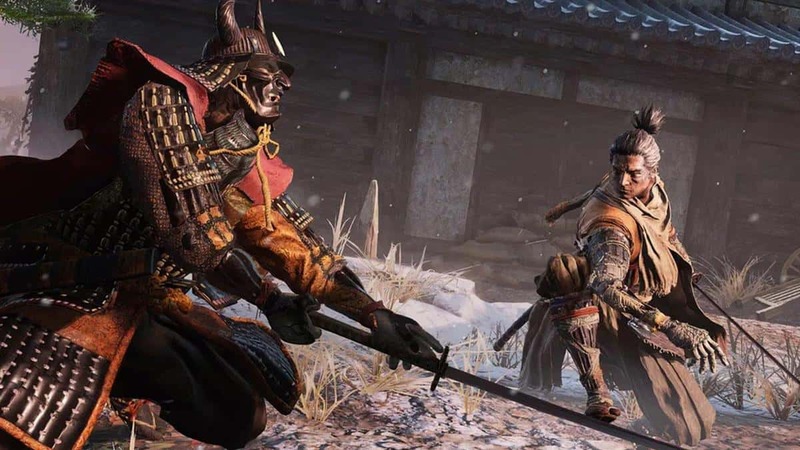 Sekiro Shadows Die Twice NPC Questlines Guide will help you locate all of the NPCs in the game along with completing their respective quests. 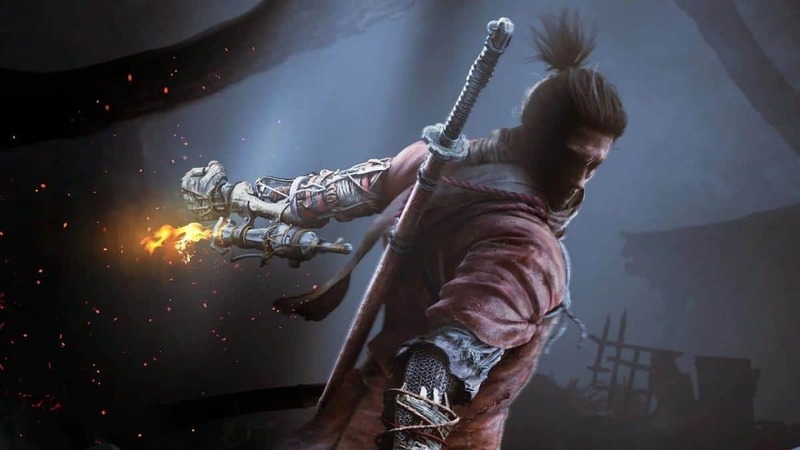 NPC Quests in Sekiro are interlinked with each other and some of them carry over during the course of the entire campaign. It is a good idea to continue these optional quests during the course of the game because these will help you learn about the world and the characters that inhibit it a whole lot better. 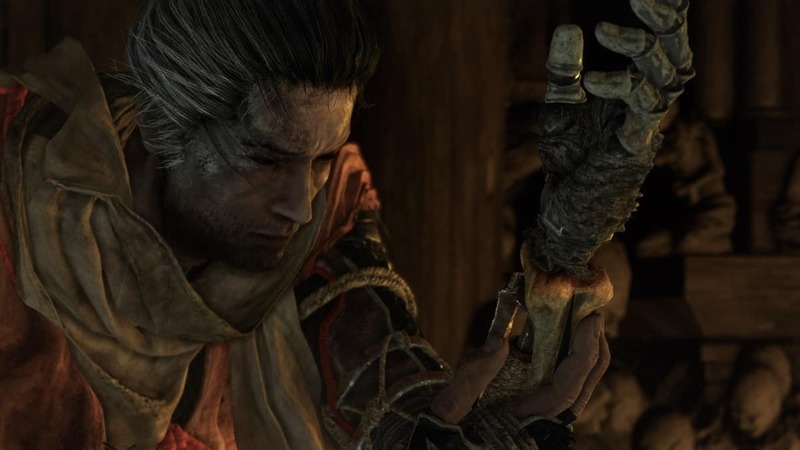 Like many RPGs, Sekiro Shadows Die Twice has many NPCs that give you quests. Completing these quests will reward you with useful items. Some of the quests have impacts on the *game’s endings*. Moreover, some of the quests are connected to one another. 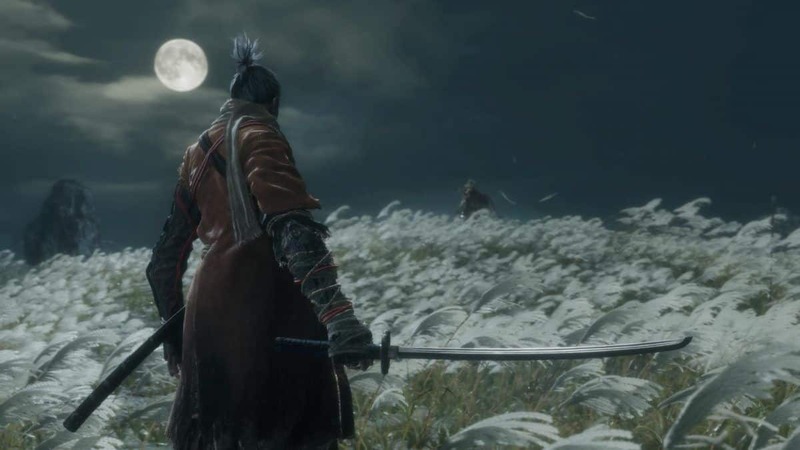 That is where our Sekiro NPC Quests Guide comes in to help you. Doujun is located in the Abandoned Dungeon near the Underground Waterway Idol. The first time you will talk to Doujun, he will give you the “Surgeon’s Bloody Letter”. Talking to him will allow you to lure “Jinzaemon Kumano” into the Abandoned Dungeon. If you give the Red and White Pinwheel to him, you can lure “Kotaro” into the Abandoned Dungeon. If you manage to lure Jinzaemon or Kotaro, Doujun will give you Lump of Wax. After that rest a bit and come back to his location and you will get an eavesdropping opportunity. After you have completed Ashina Depths, come back to Doujun and he will give you Surgeon’s Stained Letter. Go to Mibu Village, acquire the Mibu Breathing Technique, and kill the Red-Eyed Treasure Carp in the lake that will give you Red Carp Eyes. Bring these to Doujun, rest a bit, return to him again, and you will find Doujun’s Master betraying him. Rest at the Sculptor’s Idol, swim to the Senpou Temple, go left through the broken gateway, and grapple upwards. You will reach Doujun’s room, talk to him, and open the nearby door. After some time, swim back to Senpou Temple and you will find that his eyes aver turned red and will attack you. Kill him and you will get the Academic’s Red Lump. The Sculptor is located at the Dilapidated Temple and is the one who crafted the Sculptor’s Idols that serve as checkpoints. 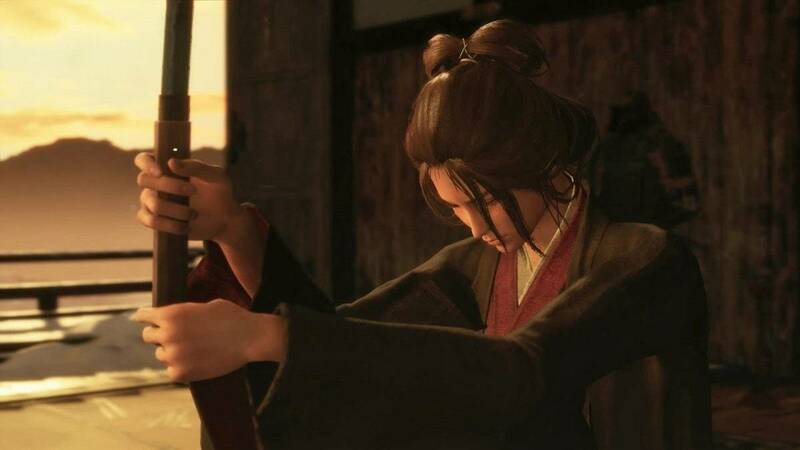 If the Sculptor is afflicted by the Dragonrot and you manage to clean it up then Emma will give you Ashina Sake and will ask you to give it to the Sculptor. If you acquire the Unrefined Sake after defeating Juzou the Drunkard, you can give it to him too. For both items, you will get different dialogues. After you have acquired the Divine Dragon’s Tears, the Interior Ministry Army will invade Ashina. The Sculptor will then transform into the Demon of Hatred and you will have to defeat him. Players will first meet Old Hag at the Ashina Castle on the bridge near the Sculptor’s Idol. After that, she will move to the Abandoned Dungeon, then to Senpou Temple, and then Sunken Valley. Give her rice and she will tell you to use the Puppeteer Ninjutsu on the Rat that will make him fly the kite that can be used as a Grappling Point. In the Sunken Valley, give her rice and she will tell you to use the Puppeteer Ninjutsu on the Monkey in the cave where you will find the Great Serpent. Doing this will allow you to pass unharmed. Use the Bundled Jizo Statue near her and she will give you Ungo’s Sugar. Use the Dragon’s Blood Droplet and she will give you Ako’s Sugar. Nogami Gensai can be found at the Hirata Estate and he will help you fighting the Juzou the Drunkard if you manage to talk to him before starting the fight. Inosuke Nogami is located at the Ashina Outskirts and can be found between the Gate Path and Stairway Idol. If you take the Dragonrot sample from his mother if he dies, you can cure your allies who have contracted the disease. Blackhat Badger is located in the Ashina Castle. He can be found past the Old Grave Idol then drop into the house with a damaged rooftop and he will be in the building. Talk to him in the building, tell him that you know about the Tengu of Ashina, and he will add some info. Purchase the Iron Fortress, talk to him, and he will reveal his intentions about moving to Senpou Temple. In the Senpou Temple, you can find him close to the kite mechanism located to the right of the Senpou Temple Sculptor’s Idol – speak to him. After acquiring the Puppeteer Ninjutsu by defeating Folding Screen Monkeys, get to the kite mechanism and use the Puppeteer Ninjutsu on the nearby rat. However, do it in stealth, otherwise, it will not work. Get to the Sunken Valley Cavern Sculptor’s Idol and he will be standing in front of the grave marker. Speak to him to reveal whose grave that before he returns to Ashina Castle. *Defeat the Divine Dragon* to cause the Ashina Castle to be invaded. Go to the Old Grave Sculptor’s Idol and there will be a house with a broken roof. To the left of the house, you will find the Blackhat Badger cornered by enemies. Defeat them and talk to him. He will be injured and will reveal why he got in trouble. He will thank you and tell that he has something for you. However, you will have to take it when he is dead as he dies of his wounds by the time conversation ends. Tengu of Ashina is found at the Ashina Outskirts right after you defeat Gyoubu Oniwa. Defeat the Gyoubu Oniwa and head into the castle to find him. Talk to him and he will ask your help to kill the rats and will give you “Rat Description”. Kill the rats past the next Sculptor’s Idol, return to him, and will give you the *Ashina Esoteric Text*. Next time you will find him at the Great Serpent Shrine and he will ask you if you have mastered any Secret Techniques. If you have mastered any, he will give you the Mushin Esoteric Text before leaving the area. After the Ashina Castle invasion, you will find him in his Watchtower Room. If you have not received the Mushin Esoteric Text then talking to him here will initiate the same dialogue and if you have mastered any secret technique then you will get the Mushin Esoteric Text. You can also acquire the Mushin Esoteric Text after defeating the Divine Dragon then talking to Emma. She will give you the Mushin Esoteric Text only if you have mastered any secret technique. This one is located at Ashina Reservoir near the cave exit where the game begins. If you talk to him, he will ask you if you hear the music and will reveal that the music is calling him somewhere else. He will then move to Abandoned Dungeon near the Bottomless Hole Sculptor’s Idol. After that, he will move to the cave just after the Headless Ape boss fight. Talk to him here and he will hint at what he is looking for in the Mibu Village. Talk to him after obtaining the Surgeon’s Bloody Letter from Doujun. You can lure Jinzaemon to the Abandoned Dungeon as part of the Doujun quest. After that, you will encounter Jinzaemon Kumano as an enemy. If you do not lure him to the Abandoned Dungeon, he will relocate to Ashina Depths near the Water Mill Idol on the bridge where you encounter the O’rin of the Water. After defeating her, Jinzaemon will move to this location. Talk to him and he will give you the Jinza’s Jizo Statue and then he dies. Harunaga can be found by the bridge in Hirata Estate and he is an arm reaching out from a pot asking for Treasure Carp Scales. When you have given him enough Treasure Carp Scales and all dialogues options have been exhausted, he will give you Truly Precious Baits. However, things get a bit tricky after this as you have three choices from this point forward. Ring the Feeding Bell and free the Great Colored Carp Precious Bait and it will not kill the Great Colored Carp and each time you feed him, you will be rewarded with Treasure Carp Scales. If you feed the Pot Noble Koremori’s Truly Precious Bait then both Great Colored Carp and Harunaga will die. Return to Koremori’s Pot and claim the reward. If you feed the Pot Noble Harunaga’s Truly Precious Bait, both Great Colored Carp and Koremori will die and Harunaga will reward you. 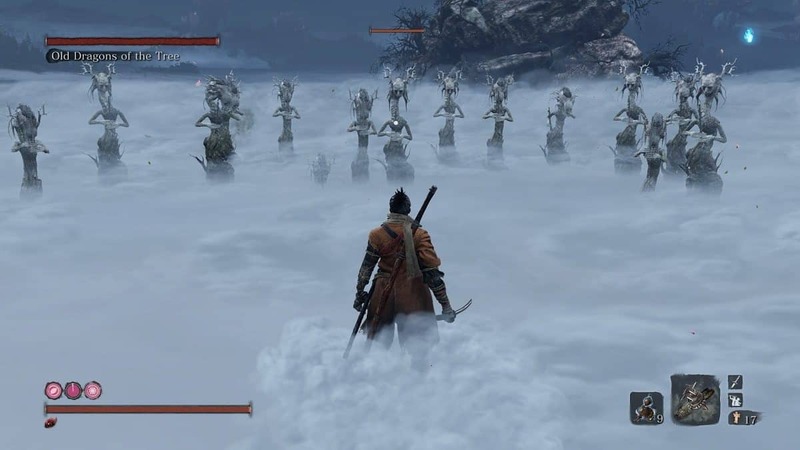 This NPC Is located at the Ashina Outskirts and can be found just before the Chained Ogre. Pay him 50 Sen and the Wolf will learn about the Hirata Estate. Pay him 100 Sen and he will tell you where the Flame Vent is in the Hirata Estate. If you already have it then he will give you “Oil” as a consolation prize. He will then ask you to find “What the Ashina Samurai Want”. This information can be acquired by eavesdropping in the Ashina Castle, past the Old Grave Idol. Tell him this information and then rest at the idol. His inventory will expand. Talk to him again and he will ask you to find him an employee. You can only send Kotaro to him after giving him the Red and White Pinwheel. However, if you do not tell Kotaro when prompted or give Kotaro the White Pinwheel at any point, this quest will be locked out. This NPC is located in the Ashina Castle. From the Ashina Castle Idol, go up the stairs, go right from the mini-boss, and then take another right. He is in a room behind the wall. Fujioka and he will ask you to clear the area of the Samurai and when you do that he gives you Nighjar Beacon Memo. After that, he moves to the Dilapidated Temple and becomes a merchant. She can be found in a damaged house in Ashina Outskirts. Talk to her and she will give you the Young Lord’s Bell Charm that is required to get to the Hirata Estate. This NPC can be found at Senpou Temple, Mt. Kongo Inner Sanctum after the Inosuke Nogami Genichiro Ashina boss fight Inosuke Nogami and talking to Kuro at Ashina Castle. Talk to Divine Child of Rejuvenation to acquire the Rice that you will then give to the Old Hag. Give her the Sakura Droplet and it will increase resurrection capacity by 1. Offer her Holy Chapter: Infested which triggers a dialogue. If you want the “Stay loyal to Kuro” ending, in other words, if you want the *Dragon’s Homecoming ending*, request Rice from her multiple times and she will ask for permission. Give her the permission and she will give rice that you can give to Kuro. Give the rice to Kuro and he will make you the Sticky Rice Ball. Eat it in front of Kuro and it will trigger more dialogues from the Divine Child of Rejuvenation. If you give her the Taro Persimmon acquired from Kotaro, this will relocate her to the Illusion Temple. Talk to her and she will give you the quest to find the Master of Senpou Temple. The master is in the cave to the left exit of the temple. Rest at a Sculptor’s Idol and return to her to get the Frozen Tears which will allow you to get the Dragon’s Homecoming ending. After that, she will only give you the Fine Snow instead of Rice. 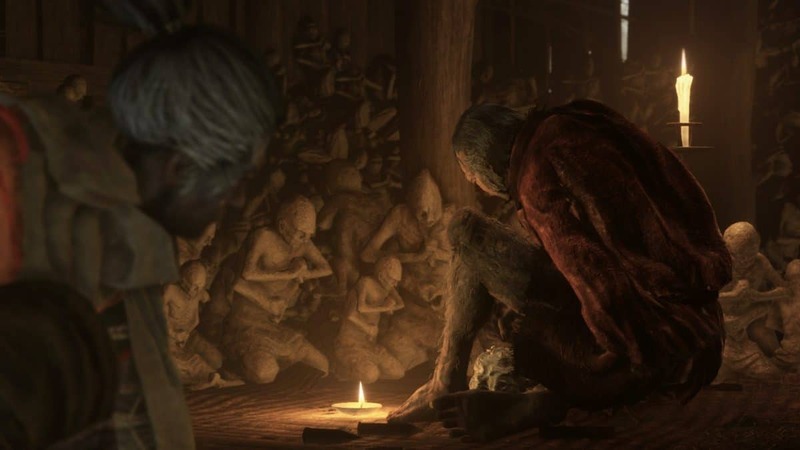 That is all for our Sekiro NPC Quests Guide with tips on where to find these NPCs and how to complete their quests. If there is anything else that you would like to add, be sure to let us know!